FREE SHIPPING ON PRODUCT ORDERS OF RS.600 AND ABOVE. Anoo's® believes in encouraging the use of hair and skin care products that are chemical-free and use 100% natural herb-based alternatives so that your hair and skin get a natural and healthy appearance. Choose from Anoo's® range of proprietary organic and herbal products that are manufactured right here in India. We ship anywhere within India. 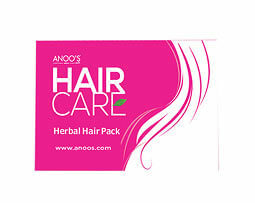 Anoo's® Herbal Hair Care is a chemical-free hair conditioner that naturally nourishes and strengthens your hair. Hair is exposed to the Sun's UV rays, dust and pollution every day besides damage from chemicals in shampoos, dyes and styling instruments. This results in hair fall, dandruff, and split-ends leaving your hair dull and lifeless. Anoo's® Herbal Hair Care revitalises your hair with silky smooth luster and protects it from the harsh natural elements. 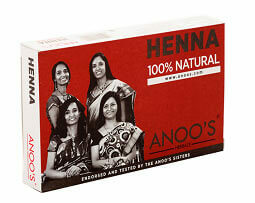 Anoo’s Henna is an excellent, all- natural hair conditioner and colorant. It has good cooling properties and adds strength & good volume to the hair. It also nourishes the hair by making it shiny, soft and silky. 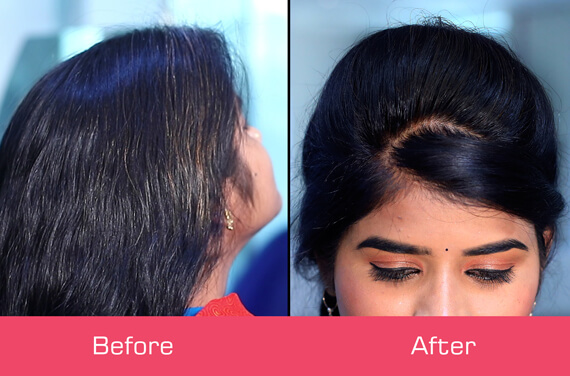 Henna repairs and seals the hair cuticle, thus helps in healing hair shaft and preventing hair breakage. Henna balances the pH of the scalp, thus, preventing premature hair fall, graying and dandruff. To effectively clean henna from hair, use Anoo's® Tryko Herbal Shampoo and a hair conditioner of your choice for best results. 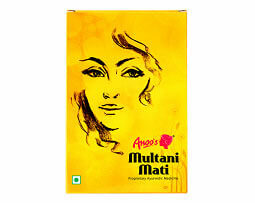 Also known as Fuller's earth, Multani Mati is a type of clay that contains various beneficial minerals and hence acts as an excellent skin toner and the astringent reduces oiliness while keeping the skin soft and glowing. It removes blemishes, impurities, grime, and also improves the skin complexion by facilitating better blood circulation. It is also a very good hair cleanser. The product is very affordable and safe to use as there are no side effects. 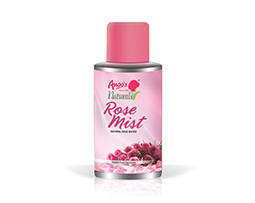 Anoo's® Rose Mist is an effective and natural moisturizer that keeps your skin soft and supple. Wipe your face with a dab of cotton or a towel soaked with a few drops of Anoo's® Rose Mist to freshen up instantly. It takes only seconds for this natural moisturizer to enliven the skin. Continued use will further lend an unparalleled radiance and beauty to your skin. 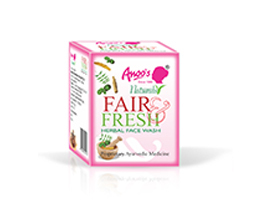 Anoo's® 100% herbal and organic Fair & Fresh face wash will ensure a radiant glow. It owes its goodness to a sandal-rich 100% herbal formula. Regular use of this product will not only protect your skin from acne, scars, wrinkles and pigmentation but also make it glow. It can be used by both men and women of all ages.And, what's more, it suits all skin types. 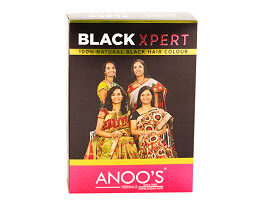 Anoo's® Black Xpert is a 100% natural hair colouring agent that turns gray hair to completely natural-looking black hair. Besides this, Black Xpert also acts on the roots of the hair by strengthening them and thereby reducing hair fall and even protects your hair from the harmful effects of pollution. Even Men can use it on their facial skin for colouring their beard and mustache. 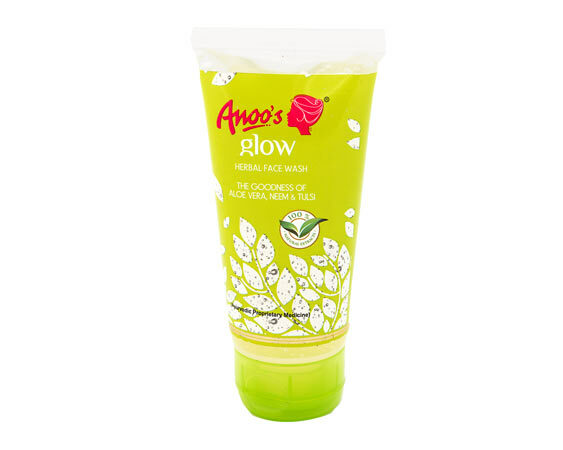 Anoo's® Aloe Glow Herbal Facewash is a 100% natural face wash that will help give you a glowing face due to the goodness of Aloe Vera. Neem and Tulasi present in the face wash have anti-bacterial and anti-fungal properties which is good for skin acne and other skin problems. Another ingredient, Yastimadhu, helps improve the complexion and glow of the skin. The product is good for sensitive skins too. 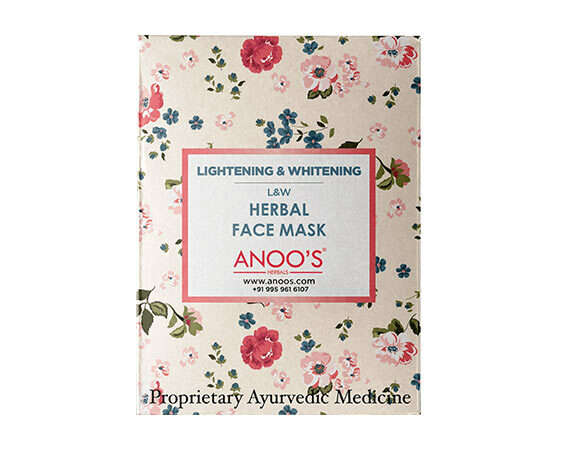 Anoos Lightening and Whitening (L&W) Herbal Face Mask is a chemical-free face mask that naturally nourishes and brighten your skin. The face is exposed to the Sun's UV rays, dust and pollution every day. Anoos L&W Herbal Face Mask will improve the complexion, tan and glow of the skin. The product is good for sensitive skins too and can be used on any part of the body. Controls Pigmentation and Dark spots. Suitable for men and women of all age groups, with all skin types.